Description: In the opinion of Norval Morrisseau protege, Ritchie Stardreamer Sinclair this is an image of an INFERIOR COUNTERFEIT NORVAL MORRISSEAU painting. 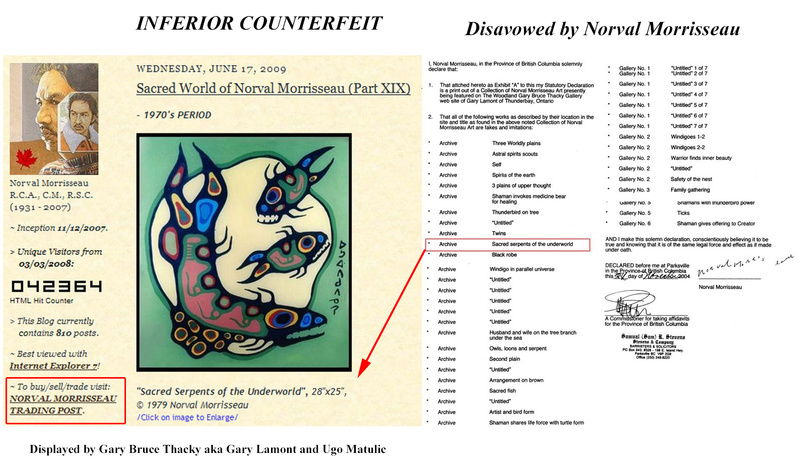 The painting has been specifically disavowed by Norval Morrisseau in a 2004 sworn affidavit directed at Gary Bruce Thacky a.k.a. Gary Lamont.